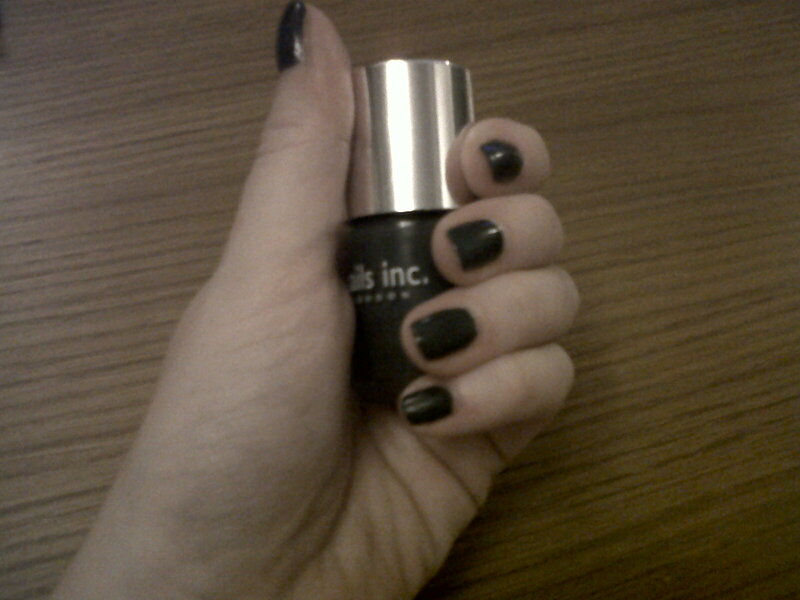 Fancy nails today with Nail's Inc's limited edition, Portobello Road! Goes perfectly with this icy season, and great for if you're getting bored of the plums, sparkle and jewel colours at the moment. 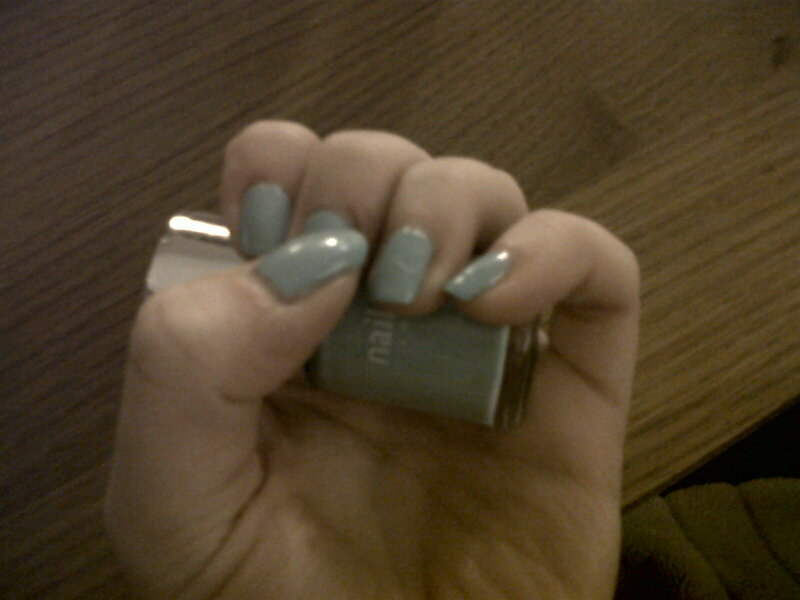 A baby blue, it does remind me of the mint green obsession of the spring/summer. I'm not completely loving it, and I don't think I could wear it for very long, but it's a nice change. I'll definitely keep it and see if I prefer it in Spring 2011. Apparently this Monday is the manic-y of them all! According to retailers this is the day for the most Internet Christmas shopping. Over £22 million an hour will be spent! Avoiding the crowds and being super-organised, surely this must be mostly women on the computer over lunch hour?! Most men I know still leave it until Christmas Eve, madly panic buying. Slightly sexist comment, please correct me if I'm wrong! Smooth Away the Wrinkles - StriVectin Week 8! 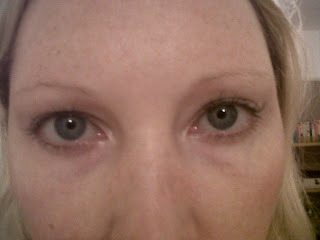 I have now reached my Week 8 with StriVectin Eye Concentrate, so another look at my crinkly eyes...or maybe not so crinkly! 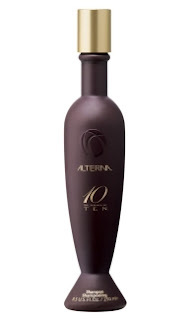 I'm still loving this product, it feels so luxurious. 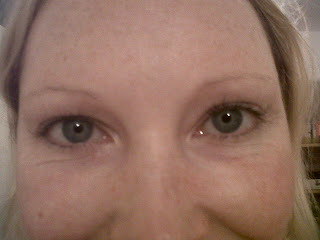 By week 8 they say I should notice elasticity getting better, as well as reduced fine lines and crow's feet. Let's compare to before I started this little experiment. My dark circles are definitely reduced, and although I still have lines when I smile they don't seem to be as deep! 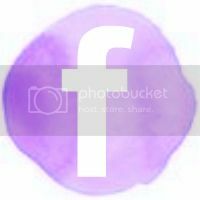 I'm going to keep with this one, and perhaps update you guys further next month. Being quite a light sleeper I have taken to wearing an eye mask so that no light gets through and, hopefully, I stay in the land of nod. However, so far I've been quite cheap and used the freebie ones you get on planes, Virgin eye masks have done me well so far!! But today I decided to actually buy one that looks good. It was either that, or an F Off one, which I thought even when I'm at my most tired is just a bit too much! Looking forward to wearing it tonight, pink and frilly, can't go wrong!! 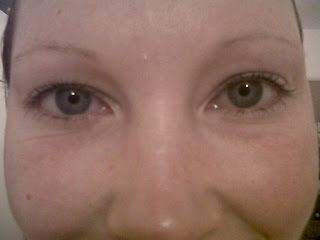 I feel a bit ashamed about my free plane eyemasks now, you should always try to look your best, even in your sleep!!! Drumroll please for this week's Hot and Not!!! Classy tailoring - absolutely adore VB's look here. Simple, elegant, stunning. Loving the colour of this dress...must find a high street copy! Kate Middleton's dress - Sorry I couldn't get away from it! As much as I'm bored with the Kate and Will's wedding extravaganza I loved her look. The Issa dress has now sold out, but also her understated make-up was gorgeous and her wavy, elegant blowdry was fit for a Princess! 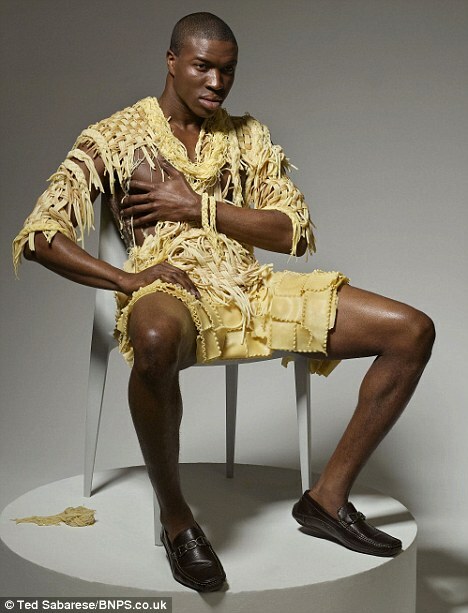 Food as clothes - Gaga did her meat dress, please stop this madness! Now someone thinks this collection titled Hunger Pains is what the world needs!! Tattoos - No real connection particularly for this week, just don't like them!! Putting on make-up on public transport - I will do this in my own home, in the bathroom, even in my car if I'm running late, but don't do it on the train, bus, etc. Nobody needs to see it, and my train seems to attract this kind of behaviour. Get up a few minutes earlier!!! Beauty Fit For a Princess! You can't get away from it, Wills and Kate are dominating every newspaper, TV station and radio. So what better way to congratulate then to list the best beauty products fit for a princess!! 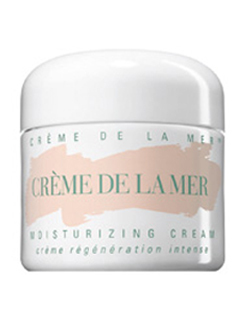 Lets get the most luxurious one on the top of the list, Creme de la Mer!! Celebs adore it, mere mortals lust over it, princesses should surely have rows and rows of it ready to moisturise and smooth away any fine lines or imperfections. 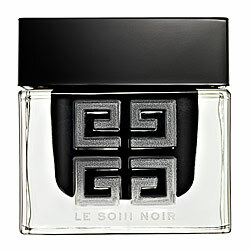 Givenchy Le Soin Noir Cream With a precious ingredient found in the depths of the ocean, only the very fabulous can afford this one! Vital Black Algae Sap Concentrate counteracts any signs of ageing, leaving you glowing. However, at £226 for a little pot you need a Prince Charming to afford it! Exclusively at Harrods. Alterna Ten Luxury Shampoo Almost £50 for a bottle of shampoo is definitely a princess price! With their exclusive anti-ageing formula and other fancy ingredients it promises to nourish and deliver incredible results. Bottle looks fancy too! La Prairie Skin Caviar Luxe Cream A Royal favourite, Caviar is now gracing our beauty cupboards. 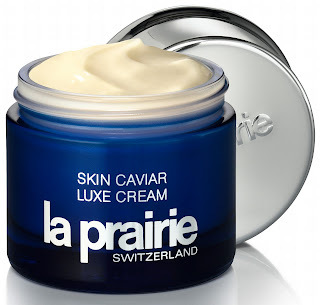 And The Prairie's offering is super luxurious. They have a full skincare range in this collection so whether it's your face, eyes, or body which needs some intense princess pampering The Caviar Collection will improve the texture and condition of your skin. 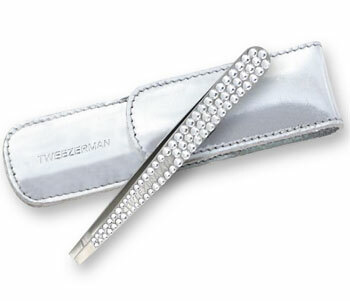 Tweezerman Crystal Slant Tweezers - limited edition, Swarovski crystal embellished version of the iconic tweezers. A princess can't have ordinary tweezers, bling it up! And the ultimate at a whopping £10,000! 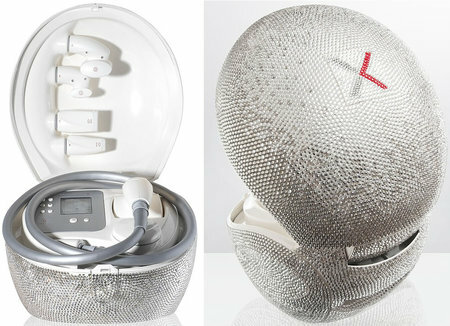 The Swarovski Crystal Wellbox from Harrods. With 60,000 crystals this really is for Royalty. An at-home professional system in order to combat cellulite, sagging, poor complexion, and more with their breakthrough technology. Looks a little scary, and the price is sure to make you faint...unless your a princess of course!! The ultimate Christmas gift for any shoe-lover, Net-a-Porter have launched a Shoe Subscription where the lucky recipient will receive a new pair of designer shoes every month. Only £8000! A wonderful gift to get the latest Louboutins, Kirkwoods and any other top designers Net-a-Porter decide you should have. You also get a hotline to a personal stylist. And express shipping! What more could a girl want? If only I had a rich boyfriend...I don't think you get to choose but I would want these for sure!! I just had to tell you peeps about my amazing new straighteners. I was lucky enough to get them in a goody bag a while ago, and have only just got round to opening them. My hair is naturally fairly wavy so to reduce the frizz or for nights out where I want to look like I've made an effort I NEED straighteners. I have had the same pair for over five years...time for a change! 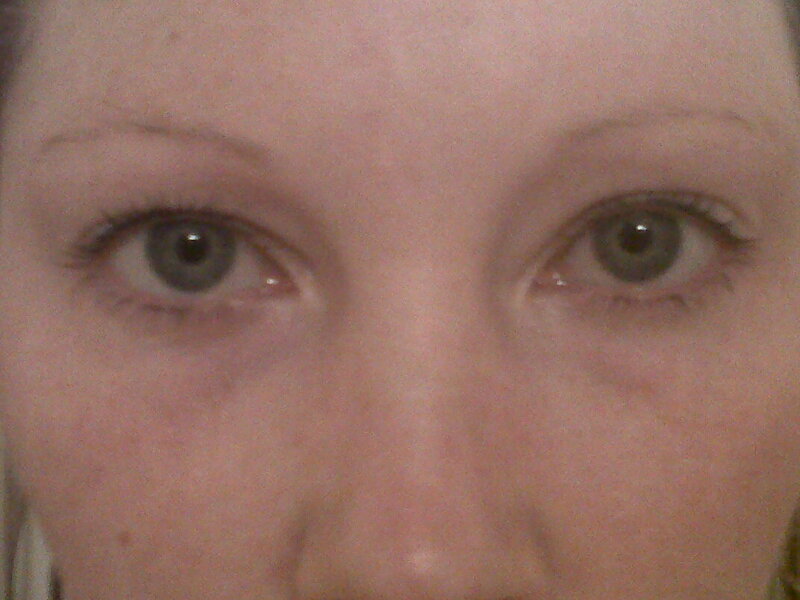 I can't recommend the Remington Pearl Straighteners enough. I thought my old ones were good, but they were nothing compared to these. So quick, effortless, and they don't snag your hair at all. I knew they were amazing when my friend commented on how straight my hair was on Saturday night: "I mean your hair has been straight before, but not this straight!" The blurb behind the product has a lot of facts and stats but the real test is how easy and effective they are. Remington Pearl, top marks! This week I have a celebrity Hot and Not!! Cat Deeley - LOVING her look at the moment. Her hair's gorgeous, loving the loose curls, the trilby, and only she could pull off the leather shorts! Victoria's Secret girls - I want to hate them as they are so darn perfect but I can't. And the tans, wings, make-up, etc, everything is impressive! Age catching up with you - Caprice showed this week that no amount of Botox can undo all the tanning, smoking and full make-up she wears every day. Be warned! Sleek Make Up have started their 50% sale until midnight tonight! Website is a bit slow at the moment as you can imagine with all the people getting their bargains, but it's definitely worth it! Their Bad Girl palette is going straight in my basket, as well as a selection of their gorgeous lipsticks! 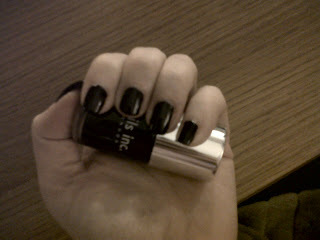 As I'm working my way through the Autumn/Winter collection of Nails Inc, this week is the turn of Duke of Wellington Place. A gunmetal grey, I didn't think I'd be too keen, as I'm quite a girly girl. I put it on Sunday evening, and with the weather we had on Monday it definitely suited my mood! However, even today with the sun shining I'm still liking it. I could only wear it over Winter and I think it looks best on shorter nails, but it's a nice addition to the collection. Stay tuned for my full review of the whole collection! Tomato, Potato, Pear or Nectarine?? Bum shapes I'm talking about!! Asda have launched Wonderbum dresses suitable for every bum shape, and are only £20! Just wait for the stampede! 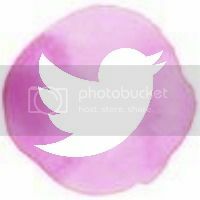 The Tomato - plump, round and squishy. This one is best squeezed into a structured dress to show it off! The Potato - wide and lumpy. Oh dear, this one needs to be dressed carefully. Asda have a tulip-shaped dress to slim this rear down. The Pear - narrow up top, wide down below. Quite tricky, this one needs a maxi dress to skim over the bum and attract attention up top. The Nectarine - full, round and pert. Probably those who spend a lot of time in the gym! A tight red satin dress is for you. Which shape are you?! I think I'm Tomato...but would like to be Nectarine! With such a mysterious name I was keen to find out more! A natural blend of oils you're supposed to apply this anti-ageing miracle to the face and any problem areas and let it work it's magic. 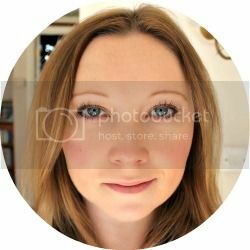 I have to be honest and say that I didn't notice much difference on the lines on my face, although as a primer before make-up it's fantastic. My tinted moisturiser and concealer just glided on effortlessly! 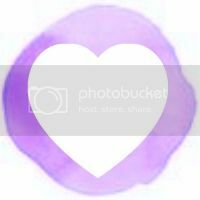 The biggest impact I saw was on my stretch marks! I applied a little bit of the oil to the marks around my hips morning and night and within a couple of weeks they were significantly faded. If nothing else works please try The Secret to melt away those annoying silvery lines. Available online, the big jar will last you ages! 1. 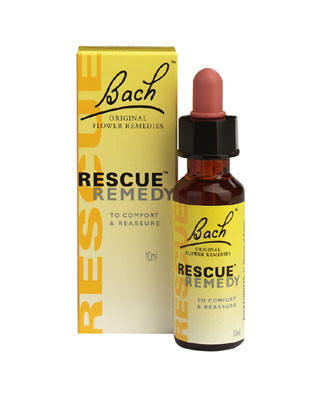 Rescue Remedy! Pure calm in a bottle. I've used this for my driving test, many exams, interviews and when I'm feeling a bit frazzled. A few drops on the tongue (tastes a bit weird) and this natural remedy will calm you down. 2. 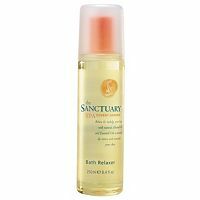 The Sanctuary Bath Relaxer - there's nothing quite like a hot, bubbly bath to soothe your body and let any tension disappear, and this bath oil is amazing. 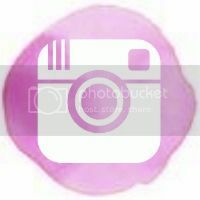 I love Santuary products, as you always know they are going to be good quality. This one blends different oils to de-stress and moisturise the skin. 3. 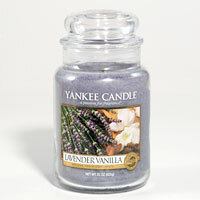 Yankee Candle in Lavender Vanilla. Love, love, love Yankee Candles! They always smell amazing, last forever and look pretty too. This one in Lavender Vanilla brings an "oasis of tranquility" which can only be a good thing after a stressful day. 4. 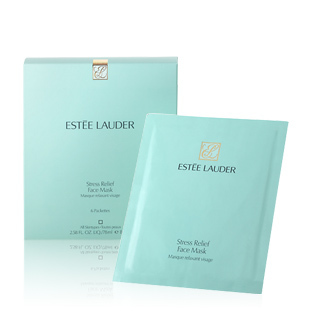 Estee Lauder Stress Relief Face Mask - when stress starts showing itself in wrinkles you know you have to do something FAST! Leave this on for just 10 minutes and it de-stresses, re-energises, and makes you skin smooth and less lined - too good to be true!! 5. Chocolate!! Sorry guys, a slight cop-out I know, but chocolate really is the ultimate de-stresser! Chemicals inside reduce stress hormones and rebalances you. I'm not convinnced of the science, but I know how much better I feel after a bar of Galaxy!! It seems as though nothing is safe from a bit of sparkle! But I'm not complaining. If you fancy something a bit more special than paper and plasitc, this year the glam Poppy is what everyone is talking about. Seen on the X Factor judges this weekend, the jeweller Kleshna has already sold out of their versions. At £84.99 it's not cheap, but everything goes to The Poppy Appeal so why not support an amazing campaign and have a special fashion accessory for a couple of weeks?! Working my way through Nails Inc Autumn/Winter collection and now it's the turn of Queensgate Mews, a really dark, rich grape colour. Good for this time of year, although it does emphasise how pale my hands are!! Maybe I need some fake tan with this one! But it was great for Hallowe'en.